FC Barcelona president ​​Josep Maria Bartomeu, accompanied by third vice-president and commisioner of Espai Barça, Jordi Moix, as well as director of Real Estate and Espai Barça, William T. Mannarelli, followed the development work on the future Camp Nou project on a visit to the Barcelona office of Nikken Sekkei, the architecture studio that won the international competition to design the stadium. The delegation had an institutional meeting with Tadao Kamei, president and CEO of Nikken; Tadahiko Mur, general manager of the Barcelona office; and Takeyuki Katsuya, director general of design. There are currently 53 workers at the office in the Catalan capital: 39 from Nikken and 14 from local partner b720 Fermín Vázquez, which two years ago took over from Pascual-Ausió Arquitectos -part of the winning project and participants in the preliminary stages of the design. 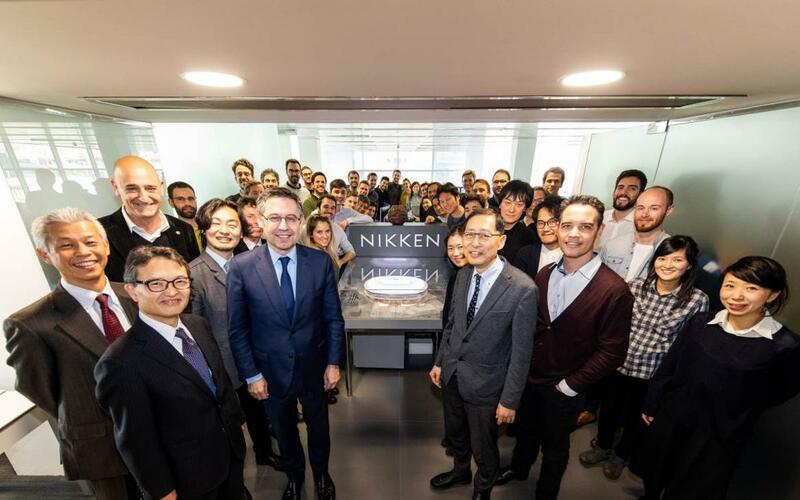 Nikken decided to open an office in Barcelona after winning the competition for the design of the Camp Nou in 2016. Tadao Kamei makes periodic visits to the city to follow the design development. This was the first time that Bartomeu and Moix had been to the offices to see the project firsthand. Mr. Katsuya presented the latest studies carried out by Nikken on the various aspects that will affect the Camp Nou upon completion, such as visibility quality from all the seats in the new first stand, the temperatures provided by the new covering and their impact on the pitch, airflow and wind, as well as the flow of people through the stadium. Moix spoke favourably about the work undertaken by Nikken and b720 Fermín Vázquez and the progress of the project. "When we selected the winning project in the competition, it was an idea and a general outline, but now it's a matter of providing all types of details. It's a Japanese approach to detail from every angle on all that affects the stadium, whether we are playing there or not, such as light, wind, temperatures and visibility from every seat. It is a question of doing this in the most efficient way possible, because this was part of the challenge that we had when we got this process underway." Nikken Sekkei is considered to be one of the best architecture and engineering studies in the world. With more than 100 years experience, they designed the Saitama Super Arena and the Tokyo Dome in Japan. Tadao Kamei sees the integral remodelling of the Camp Nou as Nikken's most important project at the moment, commenting that "it is our first project in Western Europe. The Camp Nou is a very traditional stadium for Barcelona and the whole world, and we are very proud to form part of this important project." The future Camp Nou will transform the stadium, using the current structure to create a completely covered ground with a new capacity of up to 105,000. The remodelling will take place in phases, without impeding the playing schedule, over four summers. The Nikken Sekkei proposal is for an open, serene, elegant and Mediterranean stadium. 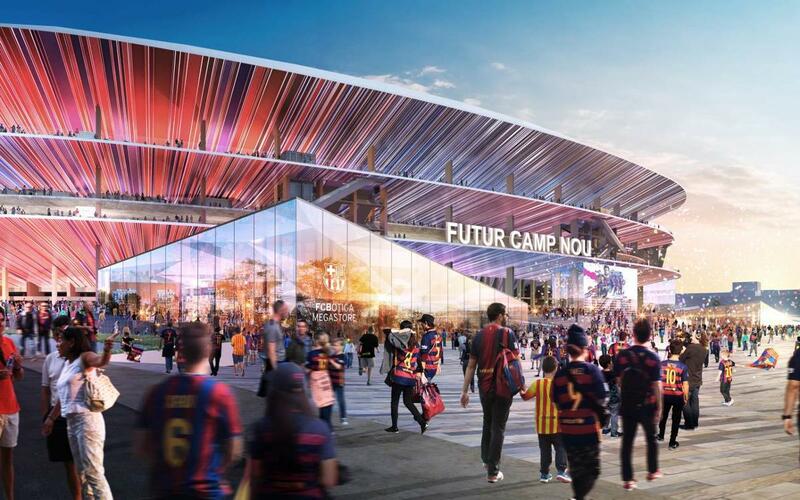 The future Camp Nou will also be perfectly integrated with Campus Barça, an open space in the Les Corts neighbourhood with a museum, store and the Barça Foundation. The future Camp Nou project is moving forward after the approval of the Modification to the General Metropolitan Plan a few months ago. Moix explains that "There are still steps to be taken before licenses are obtained, and this matter is progressing adequately. We have initial approval for the reparceling, which is thenew definition of the buildings that will be adjusted due to the streets being modified. This is already underway. It is all signed and moving forward. The second very important matter is the urbanisation project. We have concluded the project, explained the matter to residents and are picking up speed with the steps needed before obtaining licenses."